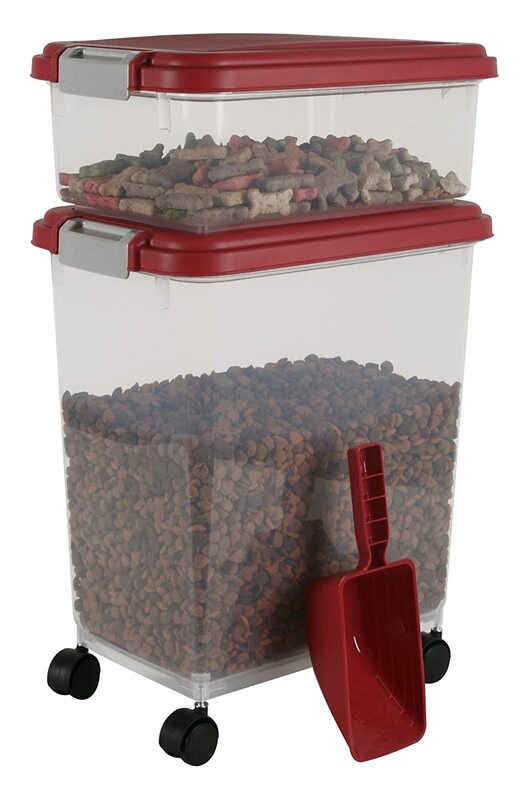 The IRIS airtight pet food container combo kits includes a 25-pound airtight container, 10-pound airtight treat/travel container, and a 2 cup food scoop. The airtight seal keeps food fresh and pests out. The larger container includes 4-free wheeling casters for easy mobility. This product exceeded my expectations. Extremely well made. I am going to purchase a scond one. You just can't beat the price.